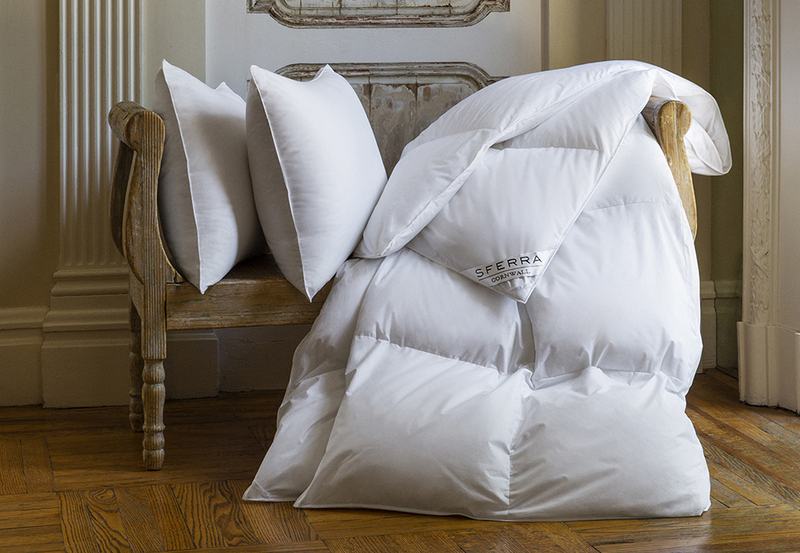 Why do we love Sferra bedding? 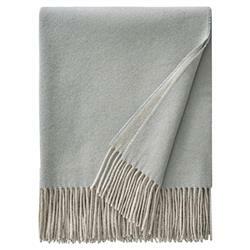 Let us count the ways: Perhaps it’s the fine materials used to produce their luxurious linens. Or it’s the company’s commitment to traditional, fine Italian craftsmanship. 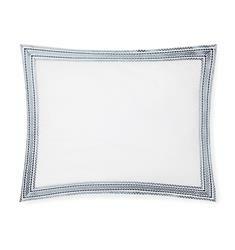 Or maybe it’s the impeccable attention to detail exhibited in Sferra’s functional and fashionable bedding designs. Okay, okay – it’s all of the above! We have only good things to say about this bedding brand that’s so luxurious they are used at top hotels all over the world! Read more about their story and incredible heritage below, then visit our site to get some of this amazing bedding for yourself! We promise you won’t regret it. Sferra was founded in 1891 Italy, when Gennaro Sferra first set foot on the cross-Atlantic steamer on a journey to America. A family history of craftsmanship enabled Sferra to sell exquisite handmade lace that would eventually become the legendary brand! Capturing the fashion of the day, Sferra sold Italian lace, collars, and cuffs to society’s tastemakers as they vacationed at seaside resorts. Over the next few decades, his business thrived! In the early 1930s, Sferra had the foresight to evolve his focus to table linens, and taught all of his skills to both his sons, Enrico and Albert. 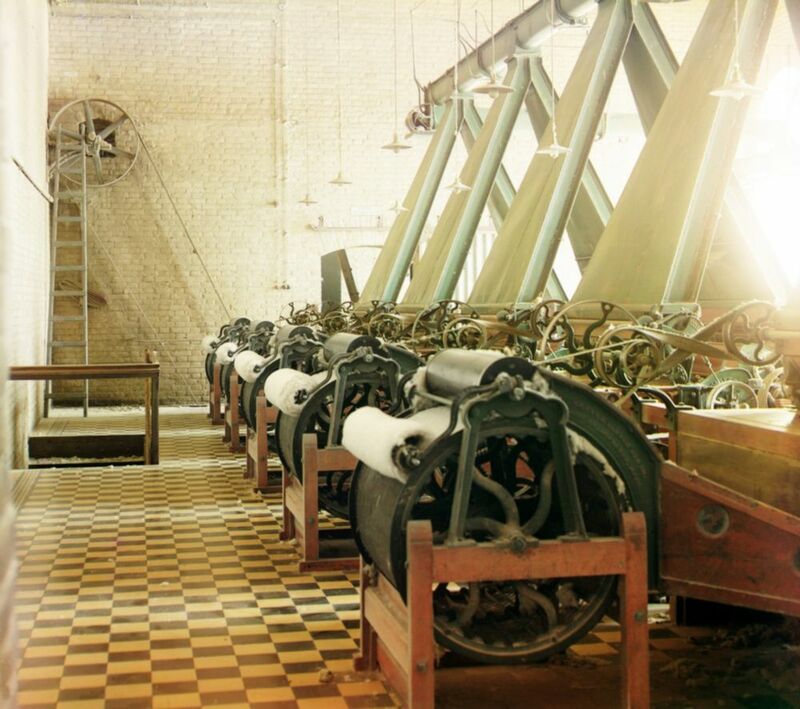 This wealth of textile knowledge helped redefine standards for the entire linen industry, making the Sferra name synonymous with luxury and they expanded into the bedding market. Of course, these small beginning have grown into the extraordinary business Sferra is today. 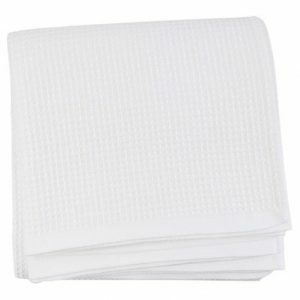 These prized linens have been used as the in-flight bedding for Pope John Paul II, the elegant table linens of Reagan-era state dinners, and the de rigeur bedding found in celebrity linen closets. One of the main reasons we love Sferra bedding is that it always starts with the highest quality raw materials. 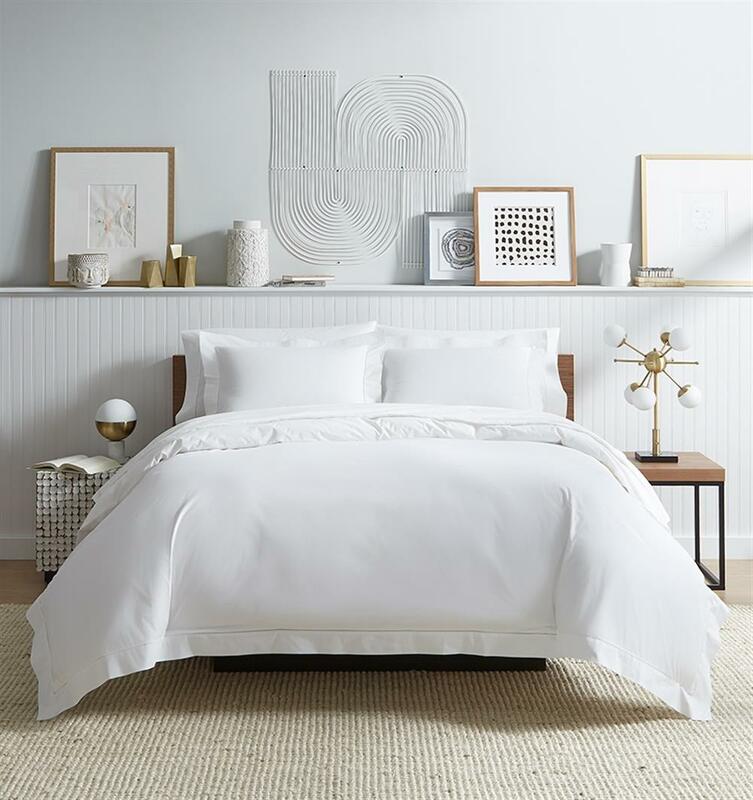 With something for everyone, from crisp percales to sleek sateens or jacquards, Sferra linens are as comfortable and durable as they are beautiful thanks to the company’s commitment to using only the finest of fibers. 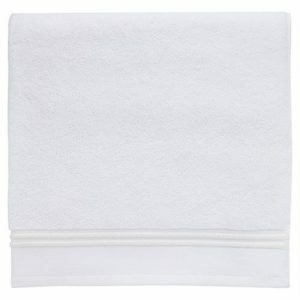 For example, the extra-long-staple cotton, Giza 45, has been heralded as the rarest and highest grade of Egyptian cotton available. Now that’s comfort you don’t want to miss out on! Fine materials are great, but they would be nothing without Sferra’s expert Italian craftsmanship. 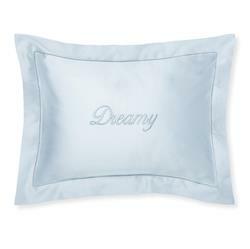 Crafted with unparalleled artistry, Italian linens have long been esteemed as the best in luxury bedding. That is especially true when it comes to Sferra bedding. Drawing upon a rich, centuries-old history of masterful textile work, Sferra linens are still crafted by small, family-owned mills in the Alpine foothills of Northern Italy, and there it has stayed throughout the years! 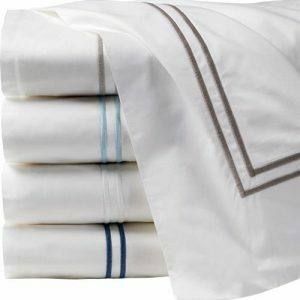 To this day, Sferra continues to set trends and redefine the industry, as with its early adoption of long-staple cotton for stronger and smoother percale bed linens and the introduction of the first ever 1,020 thread count linens in 2001. Last, but certainly not least, is Sferra’s careful attention to even the most minute of details. When it comes to Sferra bedding, no stone goes unturned. Everything is made with purpose right down to the perfectly crafted hemstitch. Functionality, comfort, and durability are never sacrificed for style. Sferra bedding strikes the perfect balance of both. 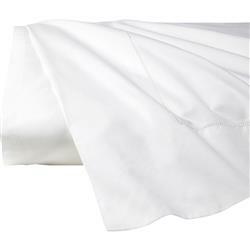 With Sferra, you can expect to find generously sized linens that account for potential shrinkage from laundering and allow for an ample turn-back on flat sheets. 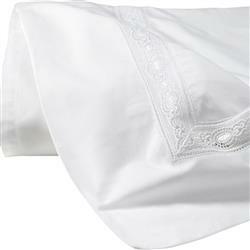 Fitted sheets, with their all-around elastic construction, also feature a generously deep design. This way, regardless of mattress size, you never feel short-sheeted! And Sferra’s attention to detail doesn’t stop at the exterior. 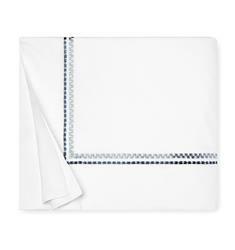 Corner ties inside Sferra duvet covers attach easily to duvets, ensuring they stay in place no matter how much you toss and turn at night.